The main scientific focus of the lab is in defining how the epigenome controls cell fate. During the development of a multicellular organism a single cell can give rise to an entire organism made of a multitude of cells of specialized function. Such functional specification is determined both by the levels of expression of transcription factors and the receptivity of the chromatin state of the target genes to the binding of such factors. 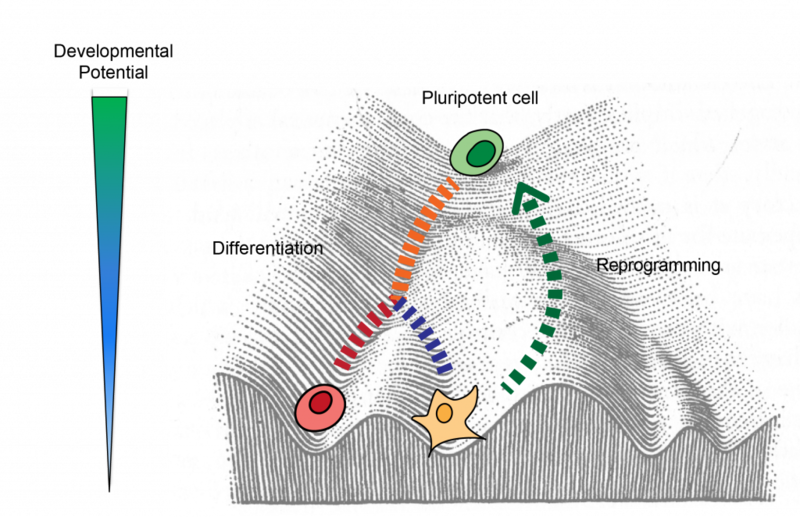 Once cell identity is established, epigenetic modifications, including those on histones and DNA, can ensure that it is stably maintained through cell divisions. Cell fate can be altered by the overexpression of proteins from other cell types. One of the most dramatic examples of such cell fate conversion is the reprogramming of unipotent somatic cells to induced pluripotent stem cells (iPSCs). iPSCs can self renew indefinitely and differentiate into all other cell types similar to embryonic stem cells (ESCs). iPSCs bypass the ethical and practical constraints of using ESCs for regenerative therapy. Our lab is focused on investigating how cell identity is established from a pluripotent state and how it can be disrupted to generate a new cell fate. For this purpose we use genome wide techniques to query the epigenome and transcriptome at the population and single cell level. Ultimately we are interested in applying the information from the mechanism of generating iPSCs to make them better suited for translational applications.